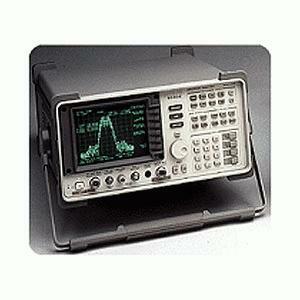 The Agilent 8560E portable RF spectrum analyzer offers the measurement capability and performance previously found in larger, more expensive benchtop analyzers. This analyzer combines outstanding phase noise, sensitivity, 1 Hz resolution bandwidths, synthesized tuning and wide dynamic range in a MIL-rugged package built to withstand harsh environmental conditions. It offers a complete solution for adjacent-channel power (ACP) testing of burst carrier signals using digital modulation, and the ability to measure occupied bandwidth percentage.